1. Elder Bednar was born in Oakland, California on June 15, 1952. 2. He is the youngest of 3 children by 15 years. He believes that he was born "to assist [his father] in learning about the restored gospel." 3. Elder Bednar's father was not a member of the Church, but he always inspired his son to be faithful and fulfill his priesthood responsibilities. He told Elder Bednar that he would join the Church when he knew it was the right thing to do. This promise was fulfilled years later, after Elder Bednar was married, when his father called him and asked him to come home to California to perform his baptism. 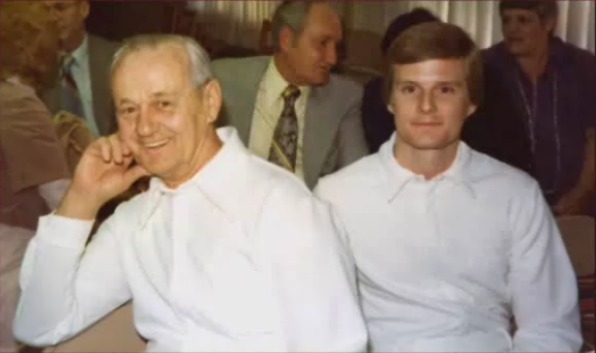 Elder Bednar and his father at his father's baptismal service. Photo found on Life Colloquy. 4. Elder Bednar played quarterback on his high school football team, and met his wife, Susan, at a flag football game. Susan caught one of his passes (the only time she remembers ever catching a pass), and he was impressed. They were married in the Salt Lake Temple on March 20, 1975. 5. He graduated from Brigham Young University with a B.A. in communication, and later got an M.A. in organizational communication. He also received a Ph.D. in organizational behavior from Purdue University in 1980. 6. Before moving to Idaho, he taught at the University of Arkansas and at Texas Tech University. He's well-known for being a talented teacher. He won the 1994 Burlington Northern Foundation Award for Outstanding Teaching. 7. Along with books on spiritual topics (such as Power to Become), Elder Bednar has written articles for scholarly journals and magazines, and he's co-authored two books about organizational behavior. 8. He served a mission in Germany during the time of the Iron Curtain and once helped President Packer and his wife by following a subtle spiritual prompting to give President Packer a German 20-mark note. President Packer later found an urgent use for that money when there were problems with his wife's passport. Without it, she might have been forced to stay behind in East Germany in the middle of the night! -->Read the whole story in President Packers "The 20-Mark Note," New Era, June 2009. 9. At age 30, he was called as a member of a stake presidency in Arkansas. He's also served as a bishop, twice as a stake president, as a regional representative, Area Authority, and Area Authority Seventy. 10. He was the president of Rick's College when it was changed to BYU-Idaho. 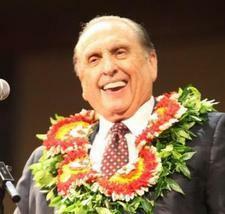 He was still serving as president of BYU-Idaho when he was called to be an apostle. 11. As president of BYU-Idaho, he always asked students to bring their scriptures to devotionals so they could learn from them, and he referred to BYU-Idaho as a "DPC," or "Disciple Preparation Center." 12. President Gordon B. Hinckley called Elder Bednar to be an apostle only one day before he was sustained into the Quorum of the Twelve at general conference. 13. His son Michael said, "It seems that faith has driven out fear in my dad. He is always optimistic. No matter what goes wrong, he always says, 'Things will work out.'" What a great man! We love all that he teaches us both over the pulpit and by example. Want to learn more from Elder Bednar? These wonderful books invite each of us to act and learn fundamental truths for ourselves, and to close the gap between what we know and how we act. Get the Elder David A. Bednar Bundle at DeseretBook.com!